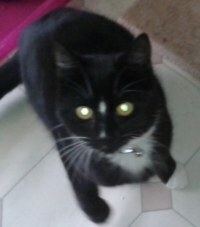 Bobby is 3 years old and is currently available for rehoming. Please come in and ask to meet him. Bobby was found abandoned with his sister Leah. They were only young and had a bad start in life. They are slowly learning to trust us humans. Leah has now been rehomed, so we would love to find Bobby his forever home. With a lot of love & tlc he will be a lovely companion. Will you give him the chance he so deserves?